HSA account holders must report all contributions and distributions associated with an HSA when filing taxes. 1099-SA Tax Form (Distributions from HSAs): The 1099-SA form shows your total HSA distributions for a tax year. A distribution is any amount you withdrew from your HSA to pay for expenses during the year. If you did not have any distribution activity from your HSA(s) this year, then you will not receive a 1099-SA. If you have more than one HSA account, then you will have more than one 1099-SA. In the event of multiple 1099-SAs (multiple HSA accounts), you will add the figures together. 5498-SA Tax Form (Contributions into HSAs): The 5498-SA form shows the total of all HSA contributions that are attributed to a tax year. A contribution is any amount of money deposited into your HSA during the year. If you make any additional contributions to a previous tax year after the original 5498-SA is generated and before the tax filing deadline, a revised 5498-SA will be issued for you. Start with the value in Box 2 of your current 5498-SA. If you had contributions that were processed after December 31st for the prior tax year, those will be listed in Box 3 of your current 5498-SA and will need to be added to the result in Box 2. If you had this same account with us with the same employer last year, subtract the amount in Box 3 from the previous year’s 5498-SA from the value in step 1. 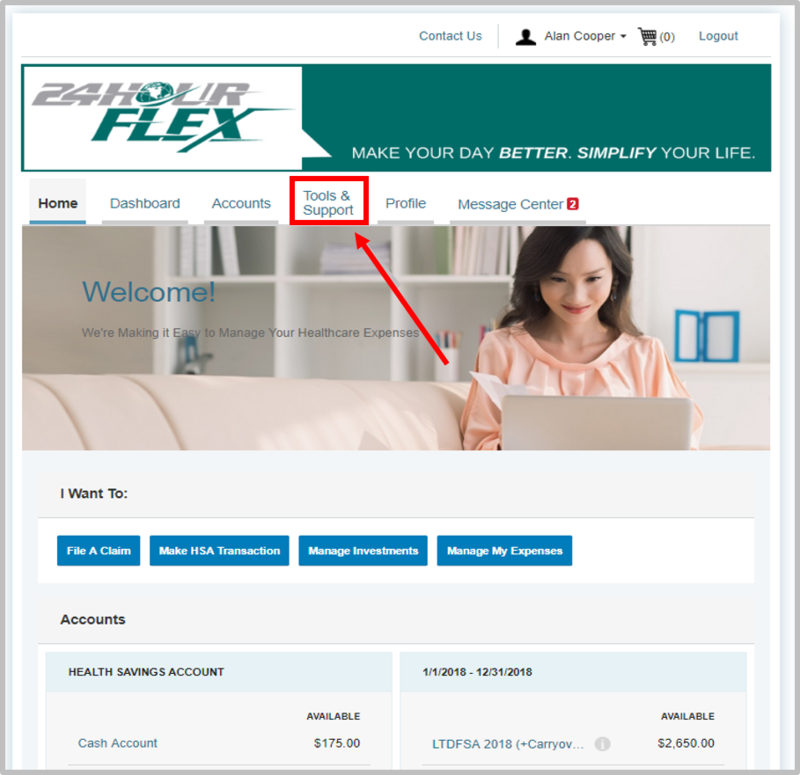 (All your tax forms, including those from previous years, are available online in your Consumer Portal in the Statements & Notifications tab under HSA Tax Statements). Each of the tax forms are made available at a certain time. In 2019, for 2018 tax reporting, the 5498-SA forms will be generated a few weeks later than the 1099-SA forms. This allows you to have more time in January to make additional contributions to your HSA for the prior tax year (if desired) and provides more time for these additional contributions to be reflected on the original 5498-SA form generated for you. The file will be generated on 1/10/2019. Electronic forms will be available in your Consumer Portal as of this date. The file will be generated on 1/28/2019. Electronic forms will be available in your Consumer Portal as of this date. 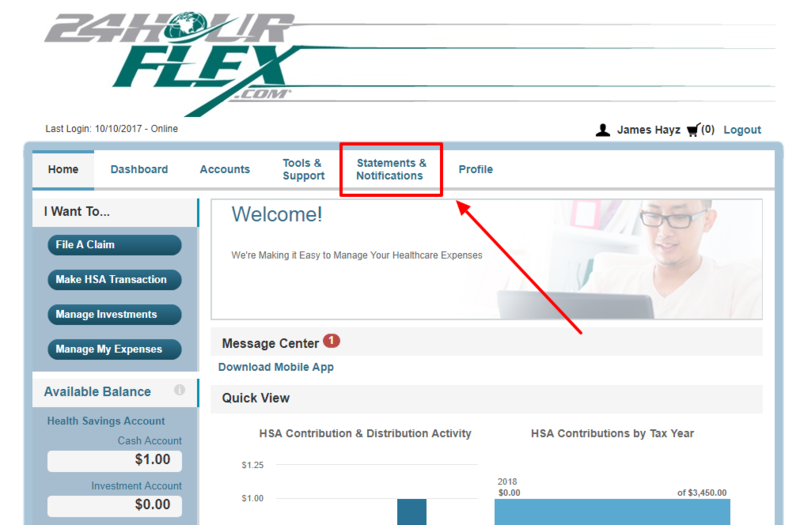 To find both HSA tax forms, you will first need to log in to your online Consumer Portal at participant.24hourflex.com. If you do not know how to log in to your account or have never logged in before, click here. From your portal’s HOME page, go to the Tools & Support tab. From there, you will be able to access your HSA TAX DOCUMENTS, including both your 1099-SA and 5498-SA forms for the tax year. Click on each to view and download the forms. If you have contributed to more than one HSA, your tax situation is more complex, and you may want to consult a tax professional for further assistance.